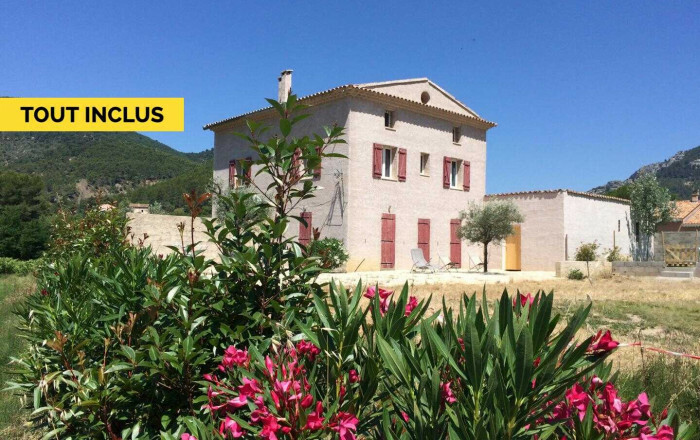 Gîte adjoining another in fully renovated house in peaceful setting in Les Baronnies Provençales Regional Nature park. A little valley in the land of olives, apricots and lime-blossom. Ground floor: dining room with open-plan fitted kitchen & small lounge area. 1st floor: 2 bedrooms (queen-size bed) (2 single beds), separate WC, shower room. 2nd floor: 2 bedrooms (2 single beds) (queen-size bed). Washing machine in basement (access via open-tread staircase). Terrace.